Get the most out of commercial lighting with the stylish 12" Warehouse Shade Outdoor Gooseneck. This robust commercial light features all-aluminum construction with a rust resistant powder coated finish. 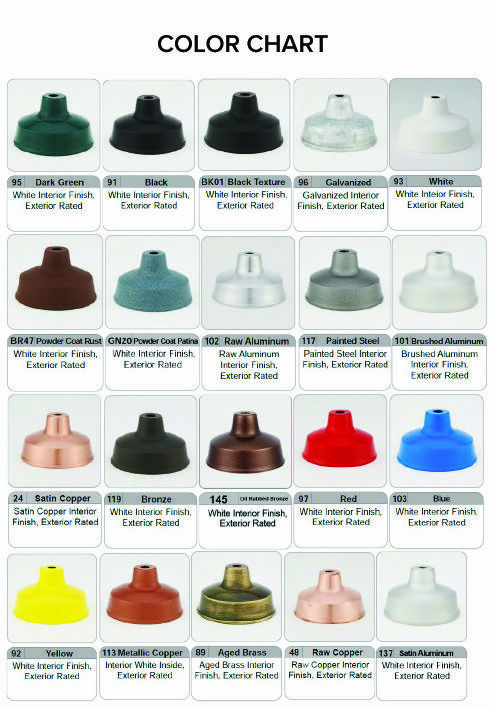 Choose from more than 20 vibrant colors (black, white, dark green and galvanized metal available at no additional charge). Mount to outdoor walls via the cast aluminum back plate with mounting holes at 3 1/2" on center. This allows for easy installation to most standard 4" j-boxes, octagon or round. Commercial gooseneck lighting online comes with standard incandescent lamping wired for 120V service. Fixtures are UL Listed (US and Canada). To upgrade lamping to HID (metal halide or high pressure sodium), compact fluorescent or LED gooseneck lights, please call toll free for details and a price quote.